You've been waiting in line to get into your favorite bar for half an hour when you hear a murmur that they're charging $5 for cover, and only accepting cash. Sighing, you look in your wallet, but as usual you only find cards and receipts. You don't want to lose your spot, but the only ATM at the bar charges ridiculous service fees. Ugh. With Cash Only, this is no longer a problem. 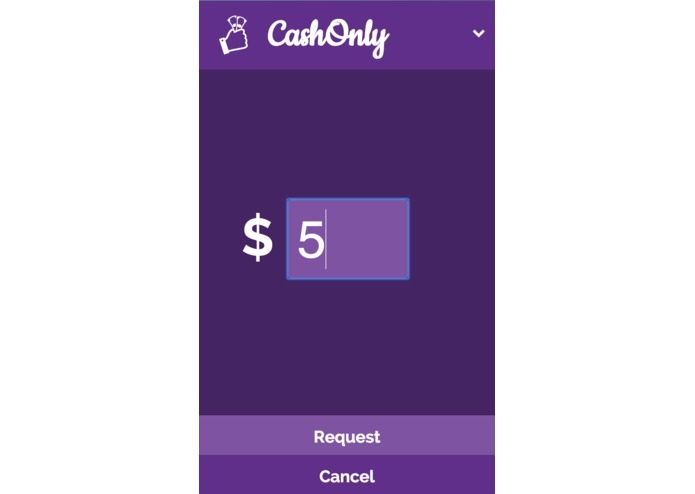 You simply pull up the app, request the cash you need, and you'll be matched with a nearby member of the Cash Only peer-to-peer network. 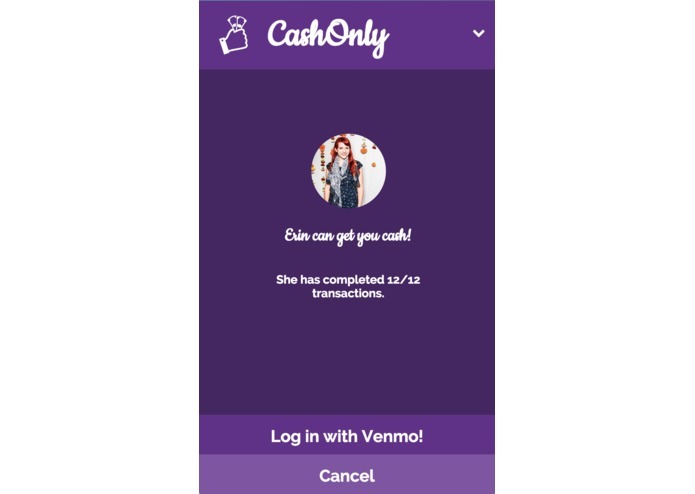 You send them the $5 plus a small thank-you bonus on Venmo, they hand over the cash, and dreading the phrase "cash only" becomes a thing of the past. 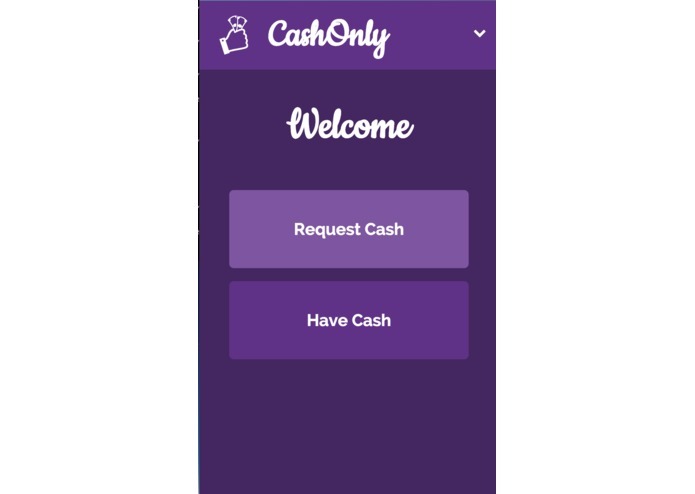 Cash Only is a mobile web app built on the Ruby on Rails framework. 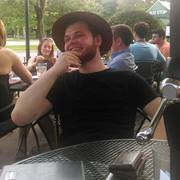 It utilizes the Venmo API for person-to-person payments and Parse for its backend data. We see Cash Only becoming a platform like Lyft or AirBNB, where individuals can disrupt corporate monopolies and everyone gains convenience. 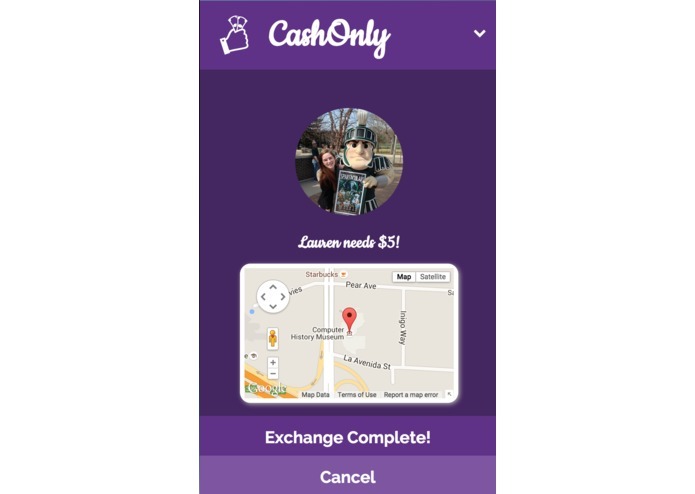 Future versions of Cash Only will include a gamified badge and rating system so users are held accountable for making exchanges.